Don't have time to hit the gym, or want to change up your training? Follow fitness model Jen Jewell's tips for better bodyweight training sessions, and try her favorite workouts! Think being a fitness model means you have to spend hours in the gym lifting heavy weight every day? Think again! Model and fitness pro Jen Jewell proves it's perfectly possible to get in a great workout without any weight at all. "These days, I'm constantly traveling," says Jewell. "Sometimes, I'm faced with the dilemma of not having regular gym access, but that does not mean I give myself permission to skip a workout!" So, Jewell gets creative and finds a way to bring the workout to her, wherever she happens to be! If you can't always get to the gym, apply the following tips to Jewell's own amazing bodyweight workouts. They'll help you build and maintain a fitness-model body without having to constantly stress about finding barbells, dumbbells, or machines. Just because you aren't lifting weights doesn't mean you can take it easy. "Challenge yourself every step of the way," says Jewell. "That means you need to find ways to keep your heart rate high and your body working hard." Jewell likes to organize her bodyweight workouts so they include minimal rest. "I like to superset exercises to increase the intensity," she says. For example, Jewell will perform burpees and lunges back-to-back. "Sometimes, I even add bursts of cardio between exercises." Simple, portable equipment can also help you turn up the heat. "If you find the exercises you're doing are too easy, grab a resistance band for added difficulty," Jewell recommends. Resistance bands can travel with you anywhere, so you'll have the ability to intensify several exercises, no matter what or where your workout might be. Without a high amount of effort and intensity, you won't build or maintain your muscle, and you simply won't maintain or improve much of your conditioning. Bring the hard work each time you train, and your physique will benefit. When doing bodyweight workouts, a little competition can go a long way! "Grab a partner and make your workout a game," suggests Jewell. "See who can perform the most reps, get through the circuit the fastest, or perform the most difficult exercise." If you don't have a partner, structure your workout so that you perform reps for time. Depending on the exercises you select, you could aim to complete as many reps or rounds as possible in one minute. The next time you do the same workout, try to beat that number! These mini competitions—against your past numbers or a partner—are a great way to increase intensity, so you know you're getting a great workout. Jewell makes such good use of her bodyweight workouts because she looks at them as opportunities, not lesser replacements for standard training sessions. "Look at your bodyweight workouts as the chance to shock your body and break out of a rut," she says. "So many people fall victim to doing the same workout routine day after day. When that happens, progress stalls. Sometimes, a well-timed bodyweight workout is a great way to ensure you don't hit a plateau." Bodyweight workouts are also a great way to train various aspects of your fitness that you may not be targeting when you're in the gym. Jewell says that when she started doing bodyweight workouts, she noticed she became more flexible, more functional, and stronger. "I've seen nothing but improvements in my gym workouts because of them," she adds. "When you utilize bodyweight movements, you build up strength in all those supporting muscles you may not be fully working when you lift." 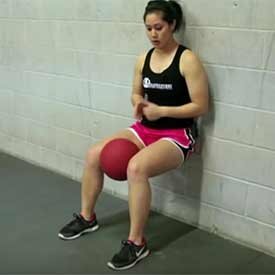 Jewell also notes that sometimes taking a mental break from resistance training can sometimes be just what you need to keep enjoying your workout program. If you want to see progress with your bodyweight workouts, you need to set goals regularly. Don't think of these workouts as one-offs. Set yourself up for success by thinking of them as a progressive plan, just like your gym training plan. "You might set a goal for how many push-ups you'd like to do at the end of two weeks," says Jewell. "Or set a goal for each workout. For example, one of my clients set a goal to get to 20 push-ups before taking a rest. By constantly pushing herself and having this goal in mind, she progressed far faster than we expected." Bodyweight exercises like pull-ups and push-ups can be very challenging. So, why not use your training time to get better at them? Regularly setting new goals and hitting them is the absolute best way to stay motivated for the long haul. Jewell recommends having a go-to list of exercises at your disposal so you can build a bodyweight workout on the fly. 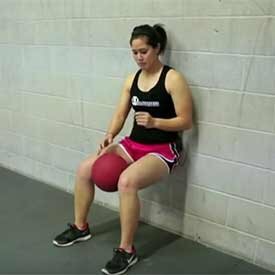 When you already know some great exercises, you can use them at the drop of a hat! Check out Jewell's own list of favorites for inspiration. You don't have to do all of these exercises in one workout, but alternate between them so each of your bodyweight workouts are fun, different, and effective. If you're ever in a pinch, refer to this list for easy exercise ideas! People often say they don't have time to work out. One beautiful thing about bodyweight workouts is that they help put this excuse to bed! If you have a few spare minutes, you can sneak one in anytime, anywhere. "The great thing about bodyweight workouts is that you can do them basically anywhere. Do them in your living room before taking off to the office that day, or head out into the backyard or the park after your work day is finished," says Jewell. If you have a few spare minutes, you can sneak a bodyweight workout in anytime, anywhere. Having the freedom to perform these workouts no matter where you are is the perfect way to ward off any excuses. These workouts don't even have to be very long. So, no matter how busy you are, you can always spare 20 or so minutes to build in a high-intensity bodyweight workout! To help you get started, check out a few of Jewell's favorite bodyweight workouts. Perform one set of each exercise one after the other. Once the entire circuit is completed, rest for 30-60 seconds, and then repeat the circuit for another 2-3 rounds. "This workout is great because it can be done at home, in a small gym, in a hotel gym, or in your backyard or a local park," says Jewell. Complete 3-4 sets of this circuit, resting for 1-2 minutes between rounds. After you complete Circuit 1, rest 5 minutes and move on to Circuit 2. 3-4 sets of 30 sec. 3-4 sets of 60 sec.